Handmade Cards 004 - The fourth page of handmade cards I received from friends around the world. 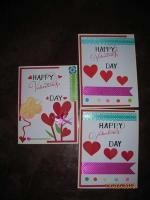 Below are four beautiful homemade cards I have received within the month. 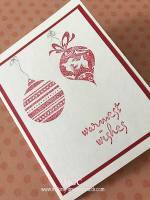 Cards that are not bought from the stores but that took the senders time to create. Each made with love and care. 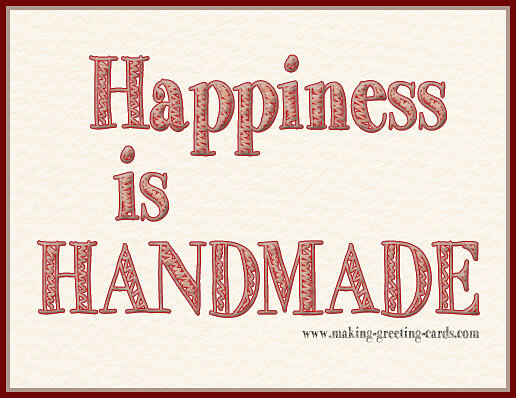 Happiness is HANDMADE. I like this 'handmade quote'. 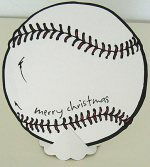 I would rather make something than buy it if I know I can make it myself. 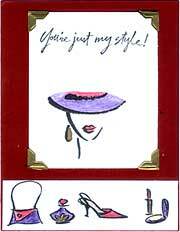 And I believe that many of these ladies who sent me their homemade greeting cards feel the same way too. Further to this fact, I would also rather buy handmade and expect any imperfection in the product knowing that a pair of hands have created it with much thought and efforts. Note: These are Return RAKs. RAK means Random Act Of Kindness. Return RAKs because I have sent these ladies a RAK not so long ago. 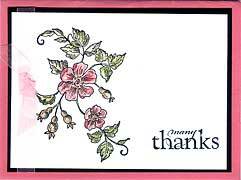 These are cards they sent to say thank you. Meda Halmaciu from Romania sent me this pressed flower card. 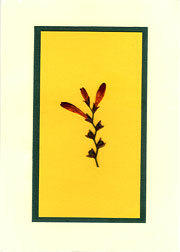 Meda wrote that the stalk of flower is from her garden, "the only thing left from a beautiful summer." 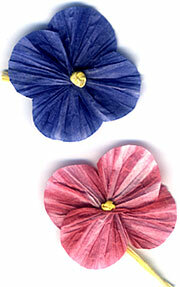 And with this pressed flower card, she included some lovely handmade flowers. Refer picture below. 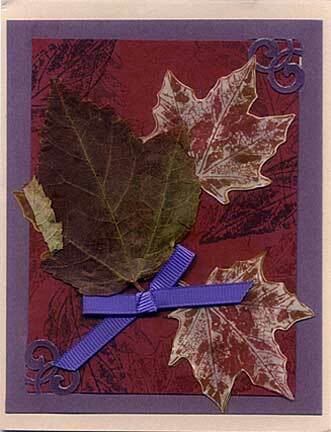 From Bonny Lutz in the States, I received this lovely Autumn theme card. Bonny said that the leaf on the front is a real leaf from her backyard. She also included some stamped vellum leaves in the envelope. Faith Ann Dressler is also from the United States. She sent me this sassy handmade greeting card with the rubber stamped message : "You're just my style!" 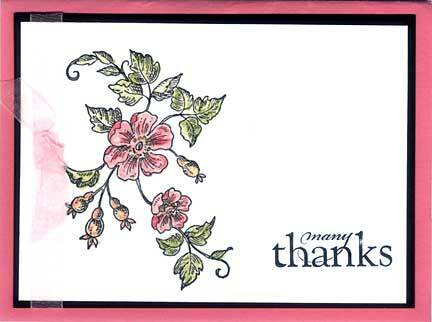 And from Lynn Burg (Australia), I received this beautiful card saying "many thanks" for the RAK I sent her. This is not a Return RAK. It's a handmade Happy Birthday card. Valerie Smith , from Canada, wished me "Happy Birthday" with this lovely pink handmade card. 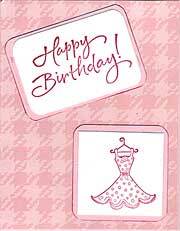 Inside the card, she stamped "Wishing you a day that makes you happy." Thank you, Valerie. 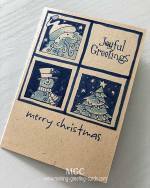 If you love browsing through this page, Handmade Cards 004, you might be interested in viewing the other pages of handmade cards which I have received from my friends around the world. Just scroll down and click on the relevant links below.